Valentine's Day is loosely based on the Roman feast of Lupercalia, which took place from February 13 to 15. The holiday, which has been described as a brutal fête, did have a sweet matchmaking component: There was a lottery in which men drew names from a jar and then stayed with that partner throughout the festivities (or after, if a proper match was made). Nowadays, Valentine’s Day is much more about spoiling your special someone with a box of chocolates, flowers, and one of the cutest Valentine's Day cards you can find. By the way, this last part is pretty much nonnegotiable. 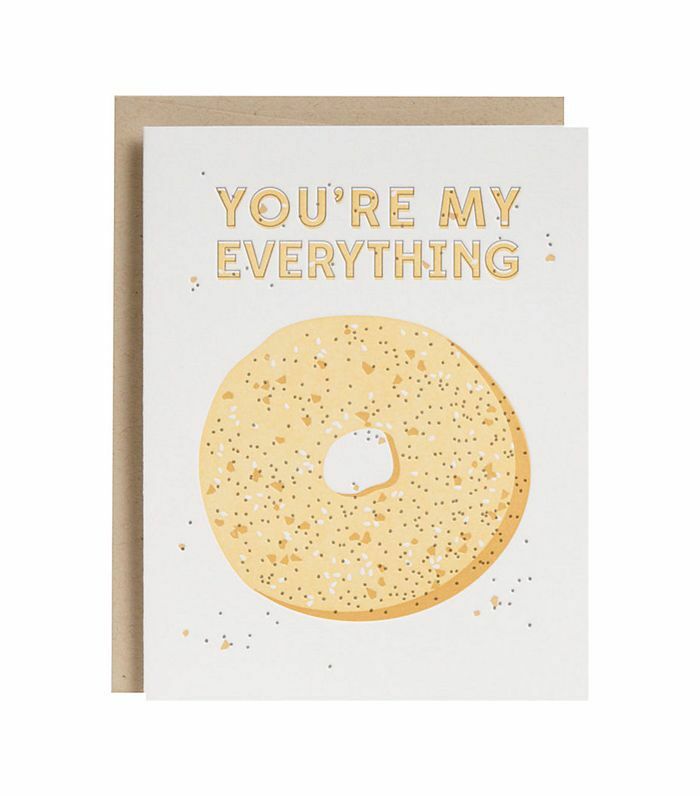 If you're anything like me, you go to three or more stores to find just the "right" greeting card that has the perfect storm of words and imagery to convey what you want to say for every occasion. And V-Day can be tricky (have you said "I love you" yet, and what do you give to your newly single friend?). 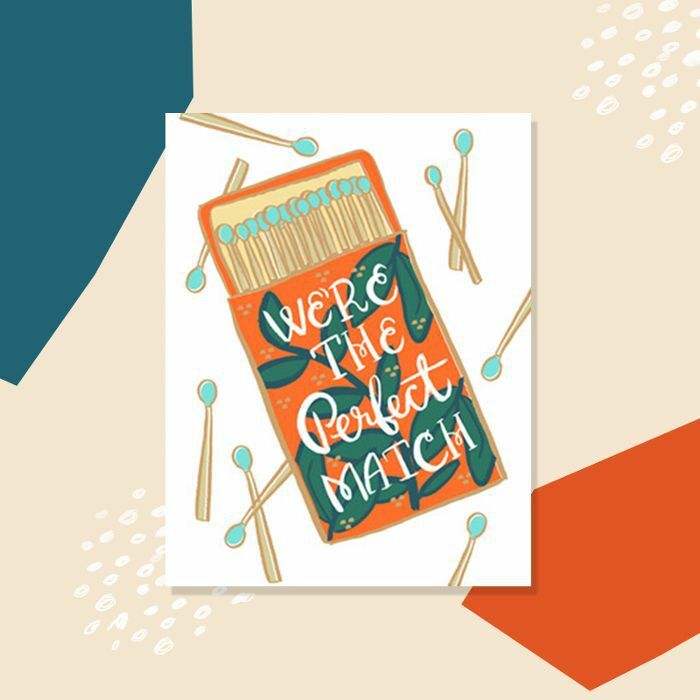 Well, we have curated the ultimate roundup of Valentine's Day cards for special someones, friends, and even your little ones. Go on and pick your favorite—and then seal it with a kiss. 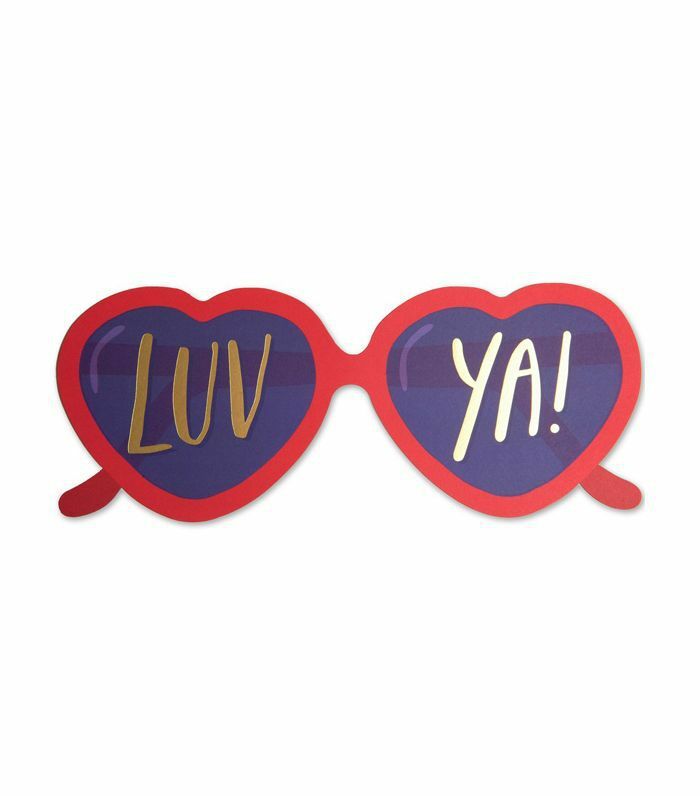 Die-cut sunglasses emblazoned with "Luv Ya" are fun for your friend group, S.O., or little one alike. The whimsical shape and metallic detail put the fun back in V-Day. Good things come in tiny packages. 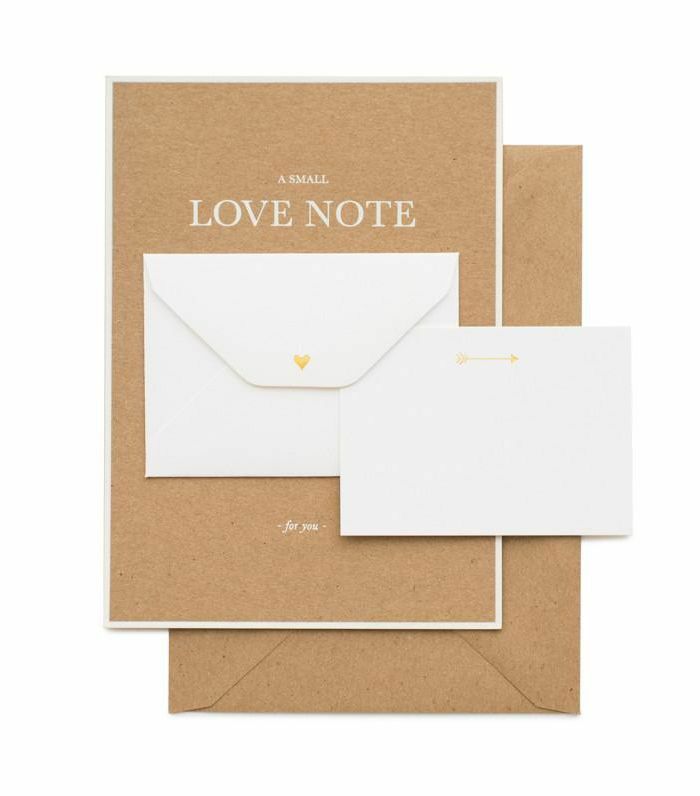 Case in point: Sugar Paper's darling love note on kraft paper, complete with a bitsy card for you to handwrite sweet nothings. (Heads up: The envelope is the perfect size to fit a gift card). What to exchange if time stands still when you're with your S.O.? 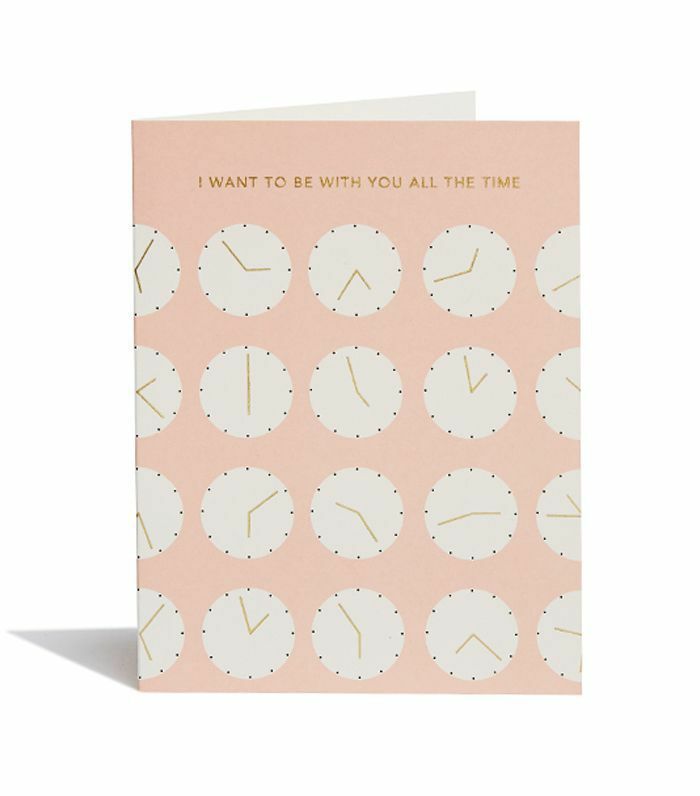 Snow & Graham's adorably chic clock card that says "I want to be with you all the time." Shiny gold foil-stamped details add an elevated touch, rendering it Valentine's Day–worthy. 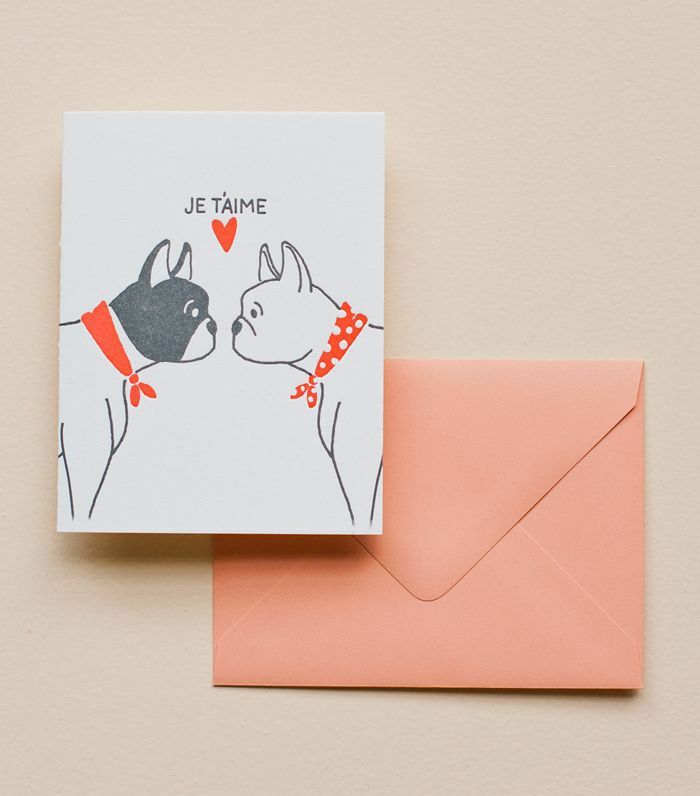 Calling all dog lovers—this sweet illustrated card will let your special someone know you "ruf" them. It's also totally fine if you want to give Fido one too. Friend. Parent. Partner. Whoever you choose to give this to is your not-so-secret other half. 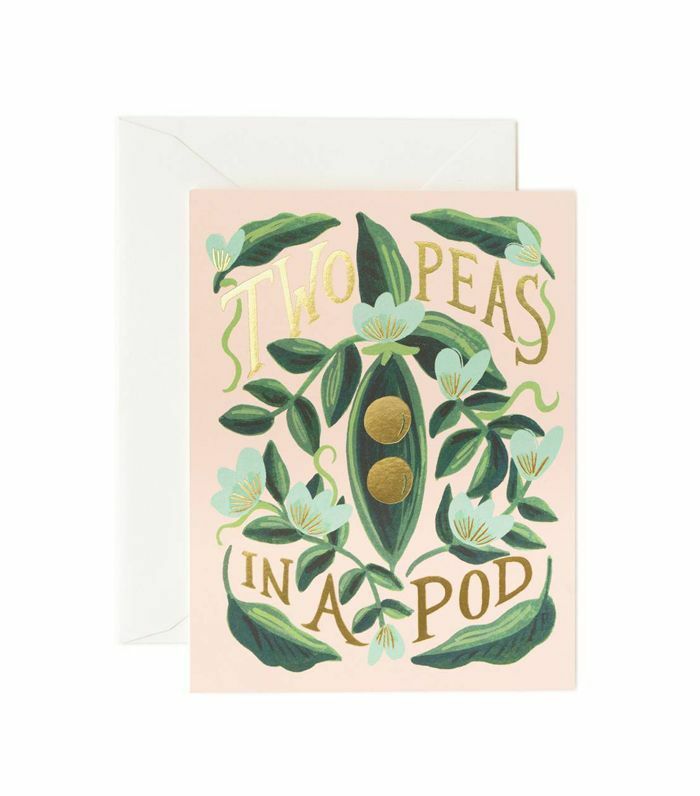 Purchase this gorgeous "Two Peas in a Pod" card for a close friend (or get a boxed set for your pack). We love the whimsical floral detail and special gold foil stamping. There's no better way to say "I love you" than in neon. 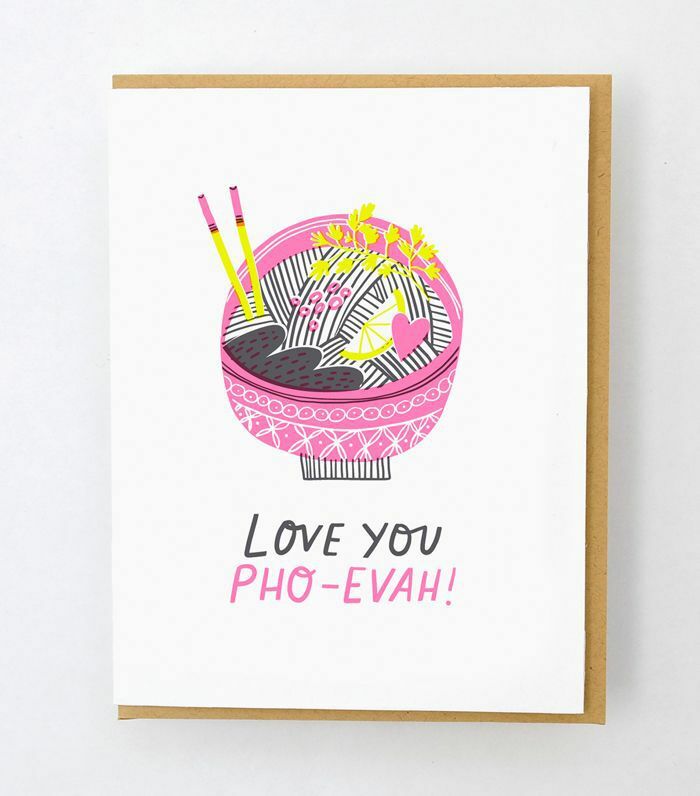 Plus, the foodie in your life will get a chuckle over this cheeky (and just corny enough) declaration of your feelings. 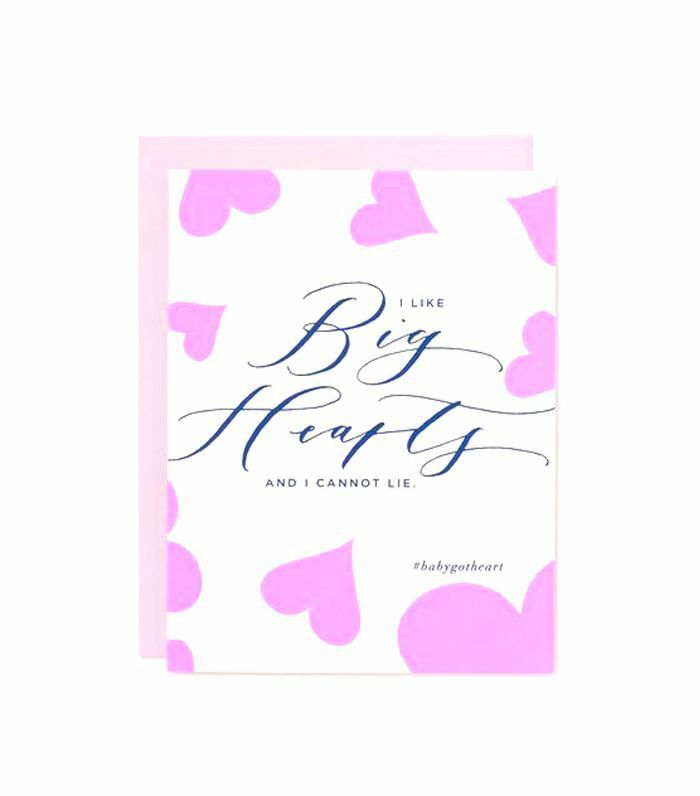 For the person who puts the color in your life, Hello Lucky's sweet card gets it right. 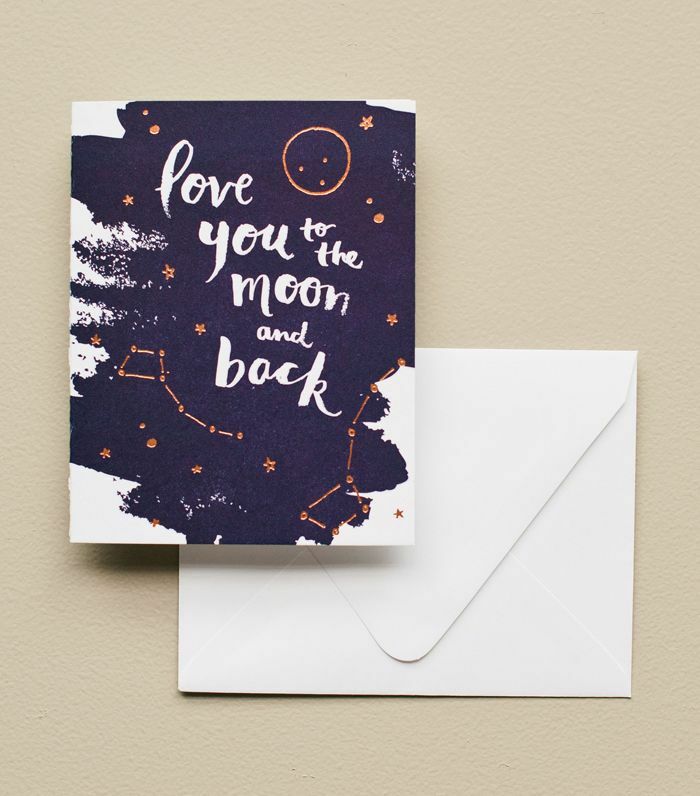 Plus, it's made on recycled paper to show the environment a little love too. Fig. 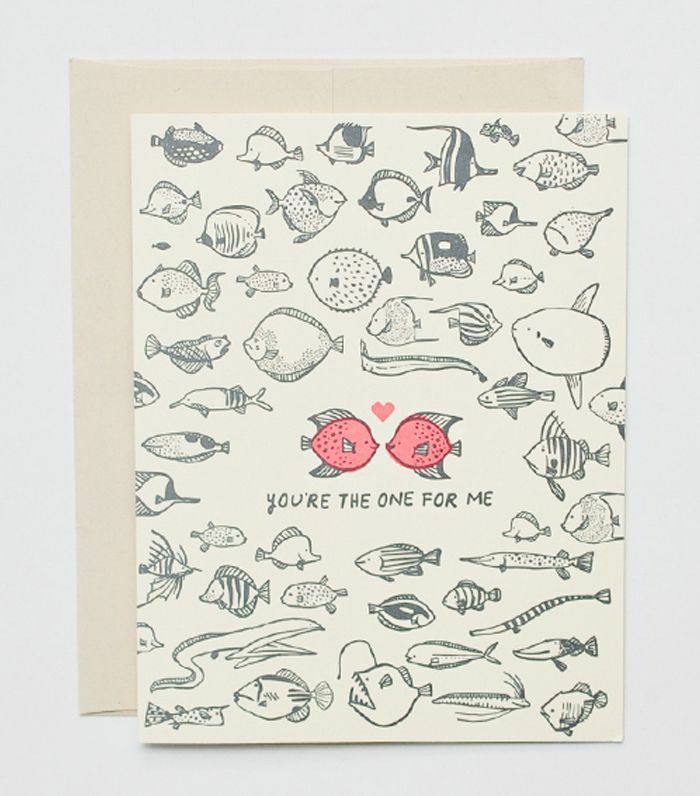 2's Valentine's Day card is quirkily funny yet still romantic with its bubblegum hues. As part of the Letters for Love collection, a percentage of proceeds will go to Sweaters and Sustenance. Let your tiny one know the depth (or length) of your feelings with this adorable style. It's made from 100% cotton paper, which means it should stand the test of time if you choose to frame it as a keepsake. 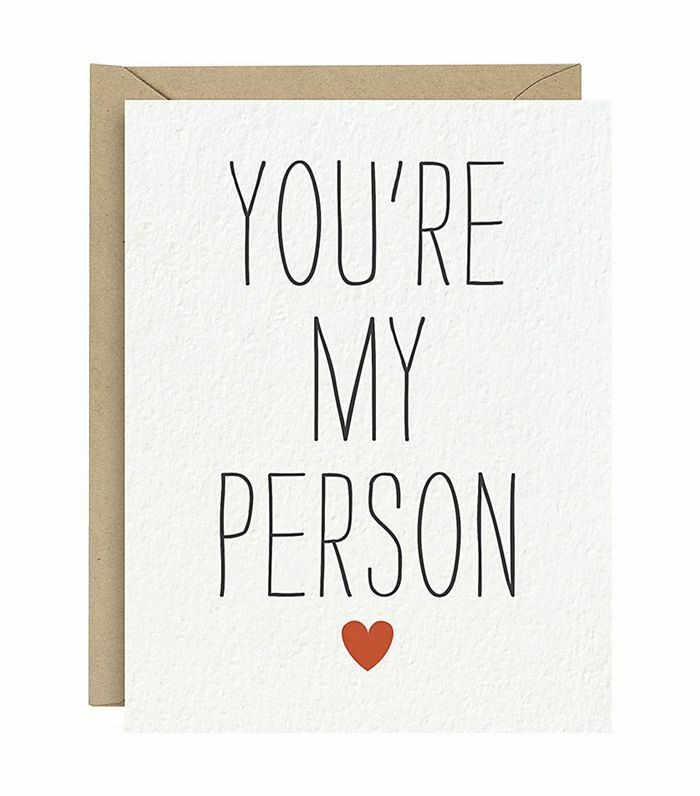 How to tell someone that you're just meant to be together this Valentine's Day (or any day)? 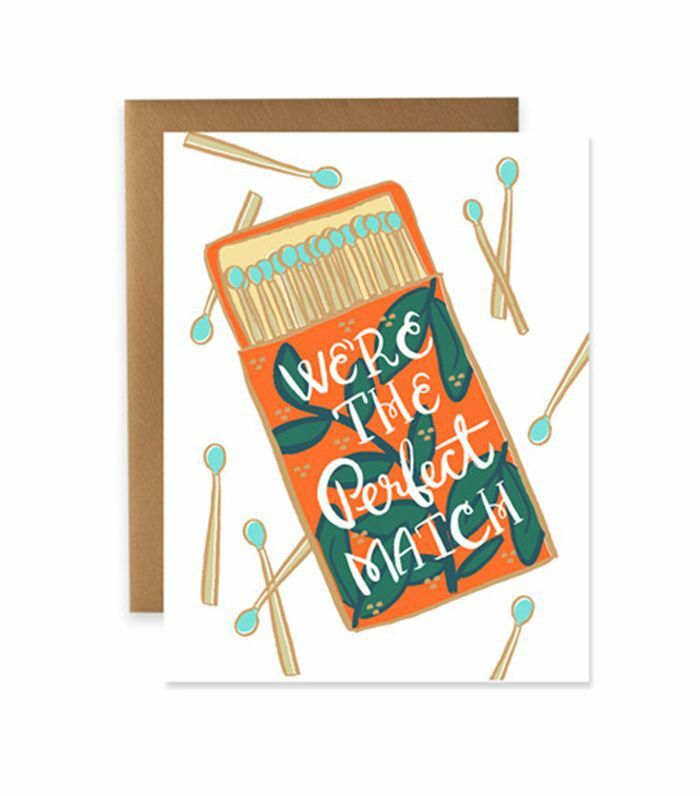 With 9th Letterpress' cheery print "Perfect Match" card. Another reason to love it: All of 9th Letterpress's items are handcrafted stateside. 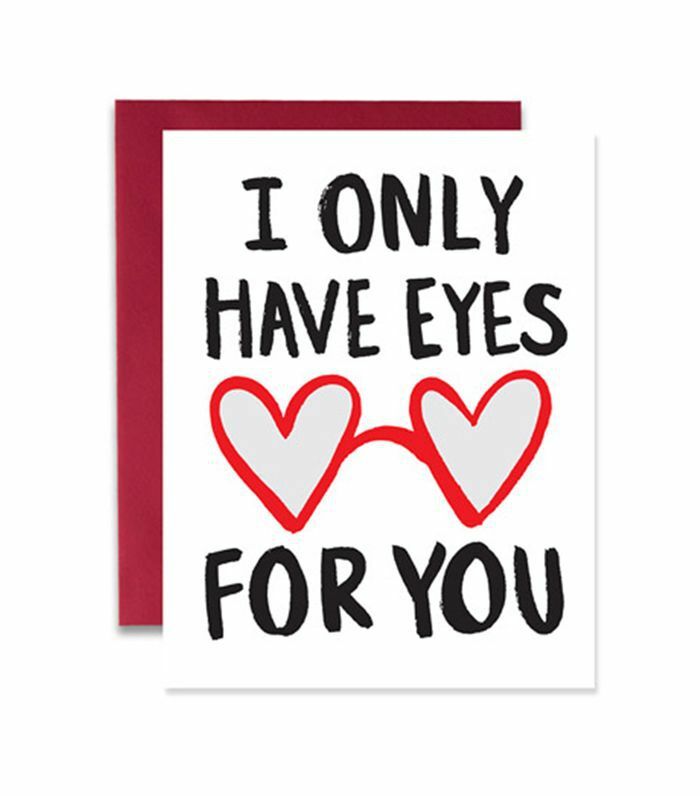 To make a bold statement, choose 9th Letterpress's "Googly Eyes" style that indicates there's no one else for you (like, really). Its rose red envelope adds a romantic touch.